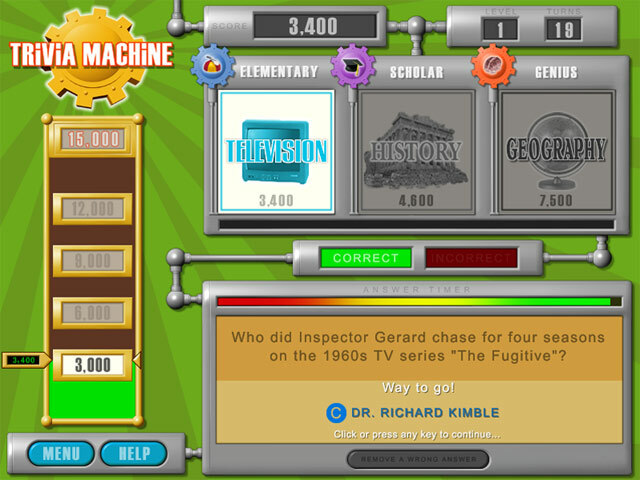 Scale the ladder-of-knowledge by answering fun questions from the Trivia Machine! 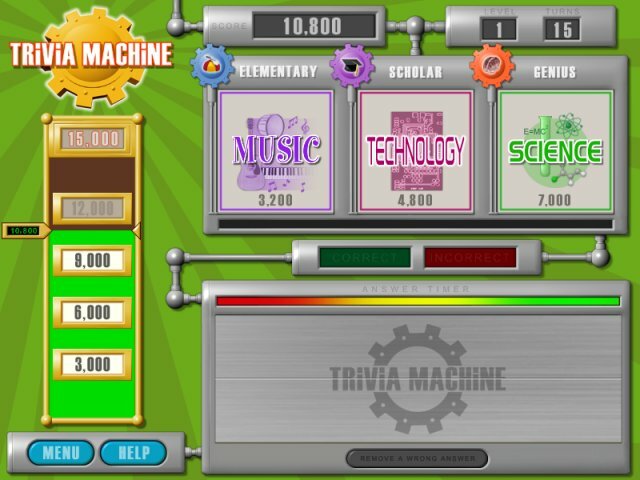 This game features thousands of trivia questions across 9 fun-filled categories. The unique game play involves strategy and wisdom, and this combination of challenging fare equates to a giant entertainment value! New questions are downloaded automatically, so you may never see the same question twice. Download this unbeatable (well, not literally) game today! 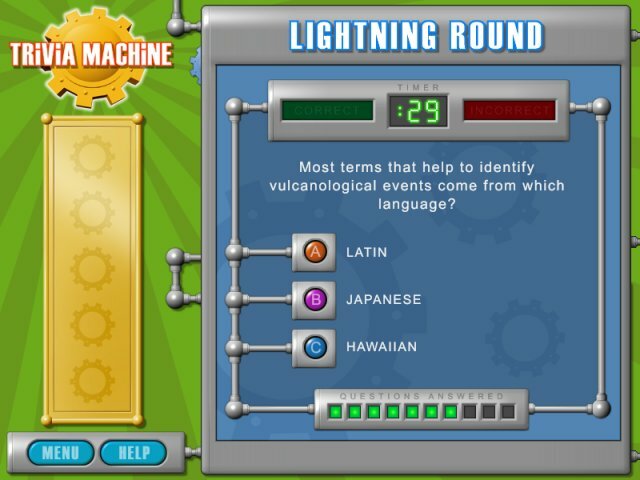 Many categories and difficulty levels.